We definitely recommend babywearing, which has wonderful benefits outside of just the hands-free aspect. 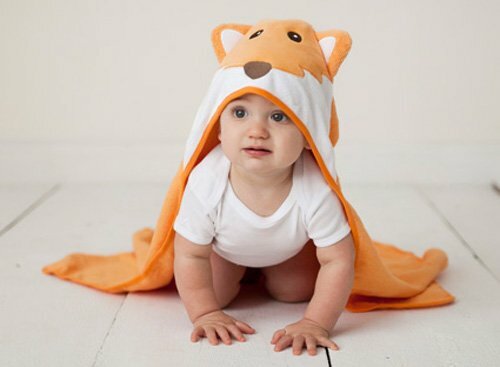 One of our favorite stylish yet affordable brands on the market for many baby essentials is hands-down Infantino. 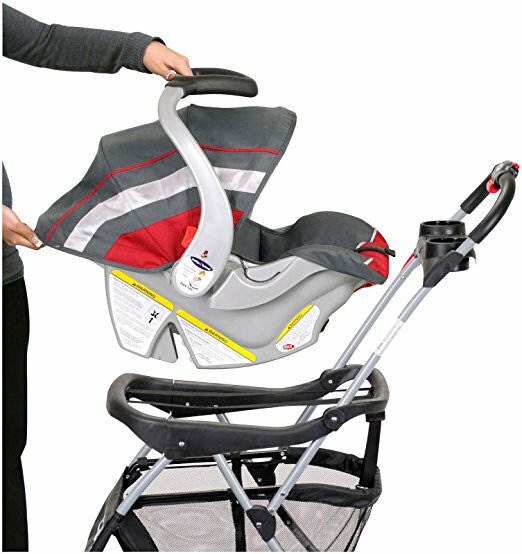 This Infantino Flip Advanced 4-in-1 Convertible Carrier ($29.99) grows with your child; suitable for babies 8 to 32lbs. 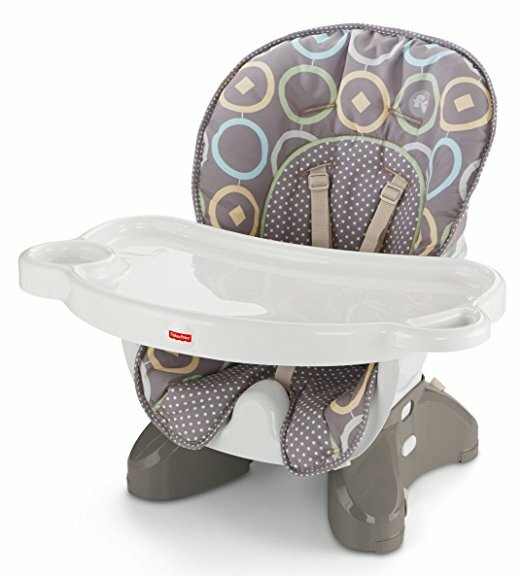 It offers four ways to carry: baby-facing in narrow seat for newborns, facing in wide seat for older babies, facing out narrow seat for babies with head control and back carry wide seat for older babies and toddlers. 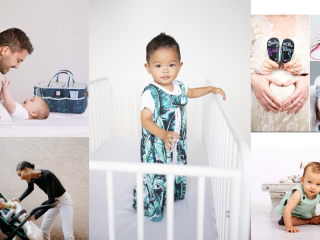 For a budget-friendly wrap, our go-to is the Boba wrap ($39.95), which grows with your child up to 18 months. Baby Trend Snap N Go EX Universal Infant Car Seat Carrier ($35) is one of our top recommendations for families on a budget. The Snap N Go turns your infant car seat (for penny-wise parents, we like the Graco SnugRide Click Connect 35 Infant Car Seat) into a travel stroller so you don’t need to have a a whole, bulky and often expensive stroller system. However, when baby grows out of the infant car seat, you’ll need a great for the value umbrella stroller like our favorite – the Summer Infant 3Dlite Convenience Stroller. Lastly, in the early stages of baby, you’re going to have to tote around a lot of stuff. We like the Fisher-Price Diaper Backpack ($40) as our stylish value find. You can’t ever go wrong with black and the moms at Gugu Guru find a backpack so much easier because you do not have worry about your diaper bag slipping off your shoulder while you’re lugging around a car seat or something else. 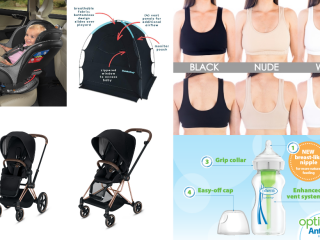 Plus backpacks and babywearing can be a great hands-free combo for parenting. 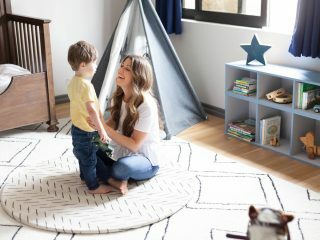 One of the 2016 safe sleep recommendations from the American Academy of Pediatrics (AAP) is for infants to share their parents’ bedroom for at least the first six months and, optimally, for the first year of life, based on the latest evidence. 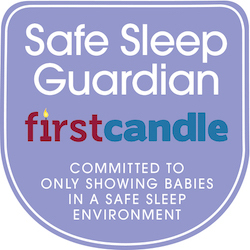 So, unless you don’t have a nursery at all, you’ll likely need a sleeping arrangement for your bedroom as well. If you’re looking to adhere to AAP guidelines, the super portable, affordable and safe-sleep approved BRICA Fold N’ Go Travel Bassinet is a dream for your wallet at $34.99. 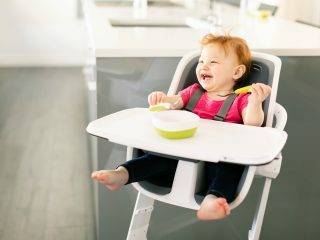 Downsides are that it’s only meant for use up to 6 months and, moreover, you’ll likely have to put the bassinet on the floor, which may not be practical for a number of reasons (e.g., frequent night-time nursing, pets, etc.) For something sleep-approved that requires less bending over and also grows with your child, go with the Graco Pack ‘n Play On The Go Playard with bassinet ($79.99 or less). You’ll need a crib mattress of course and our budget pick is and always has been the Safety 1st Heavenly Dreams White Crib Mattress ($54.99). 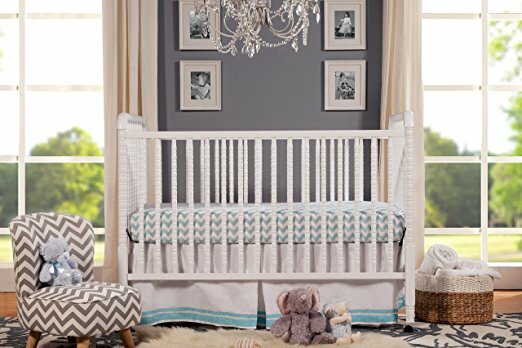 Our general go-to brand for high quality cribs that won’t break the bank is DaVinci. The Jenny Lind crib shown above will run you about $200 or less. Another brand to check out with cribs in the $100 range would be Ikea. Cribs are really a blank canvas regardless – dress them up with adorable bedding sets (Trend Lab has a great, affordable selection). Or, to save some additional dough, you can just make a baby blanket or quilt yourself – check out a tutorial like this one from See Kate Sew. Don’t forget a waterproof fitted mattress cover and extra fitted crib sheets like these from American Baby Company. For use inside or outside of the nursery, do NOT forget some muslin swaddle blankets, which have multiple uses beyond just swaddling. 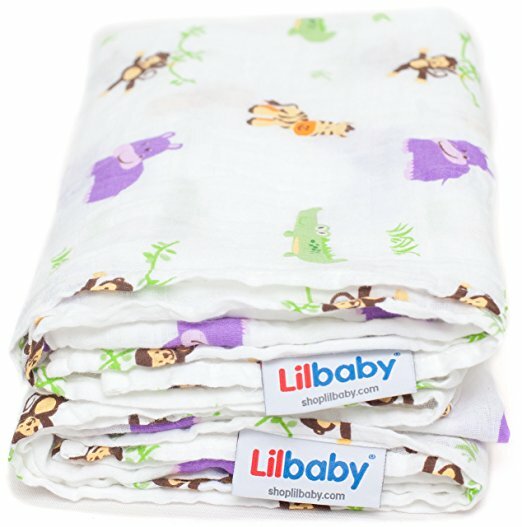 Parents just rave about these 100% organic swaddle blankets from Lilbaby said to be among the softest of their kind out there. Lilbaby doesn’t have a ton of designs and styles, but at $5 a pop, you can buy twice as many of these versus some of the bigger names on the market. You’ll also definitely want to add a 3-pack of the Swaddle Me Original swaddles. Swaddles create a cozy, womb-like feeling for baby and prevent the startle reflex that can wake your newborn infant. A three pack of these costs around $35 or less. While the wildly popular Wubbanub ($15) may be described by some as pricey and hardly fit for a budget baby registry, we’ve added it for two reasons: 1. it’s a 2-in-1 product (pacifier + lovie) so Gugu Guru feels that this justifies a higher price tag and 2. if you’re having a shower, it’s great to register for this item as a gift. Hint: just don’t register for the octopus – we hear it’s subpar due do the shape. An important thing to note about Wubbanubs is that this product is a double-edge sword due to safe sleep recommendations. 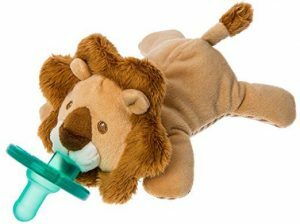 It’s a pacifier, which is shown to reduce the risk of SIDS, but it’s also a toy and should not be in the crib. New parents should be conscious of this and possibly reserve the Wubbanub for supervised snoozes only. 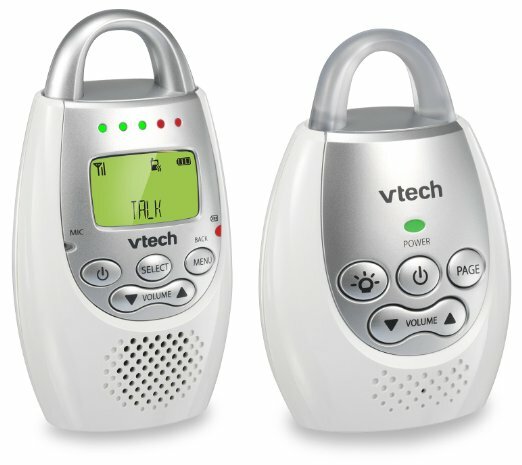 Since the launch of Gugu Guru in 2015, the VTech DM221 Safe & Sound Digital Audio Baby Monitor ($39.95) has remained our leading budget baby monitor recommendation across the board. If you’re looking for a video monitor, we would recommend the Summer Infant In View Digital Color Video Baby Monitor as our budget video monitor pick coming in at less than $100. 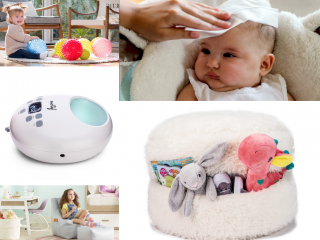 You’ll need a cool mist humidifier for your home, especially if you plan to nurse. 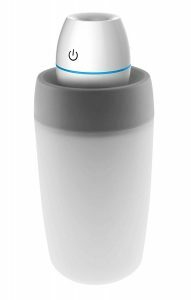 We have always been huge fans of Crane USA and their travel humidifier ($29.99) is terrific because you can carry it from room-to-room. Generally people will buy you a lot of clothing for your babe, so don’t register for too much in terms of clothing. Clothing is also something that you can easily score as hand-me-downs or from BST (Buy/Sell/ Trade) groups on Facebook. You’ll want to get an ample supply of onesies and zippered pajamas (snaps are the devil in the middle of the night.) To make sure you have some of the basics covered, you can also register for an economical layette set like this Essential Newborn Baby Layette Set from SpaSilk ($50 for a 24 piece set). 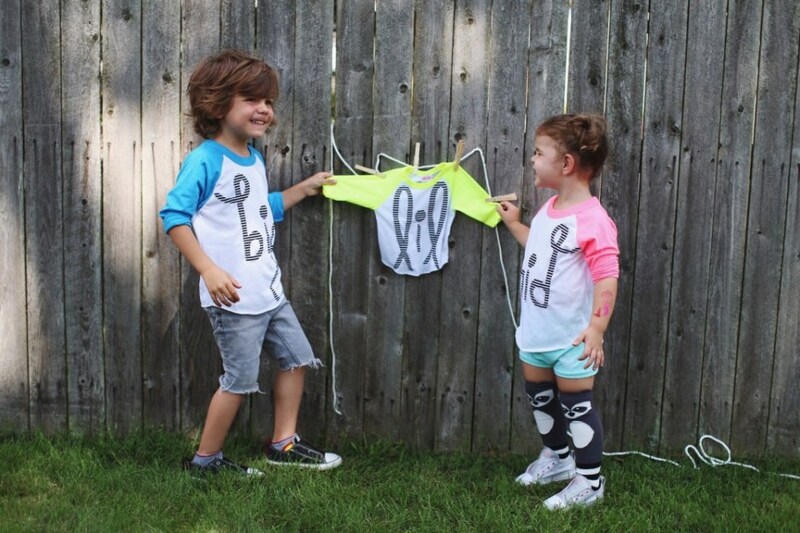 Here’s a budget tip – go gender neutral for clothes. If you plan to have more babies, you can re-use what you have and if you don’t plan on having another, you can trade or sell gender-neutral items more easily. 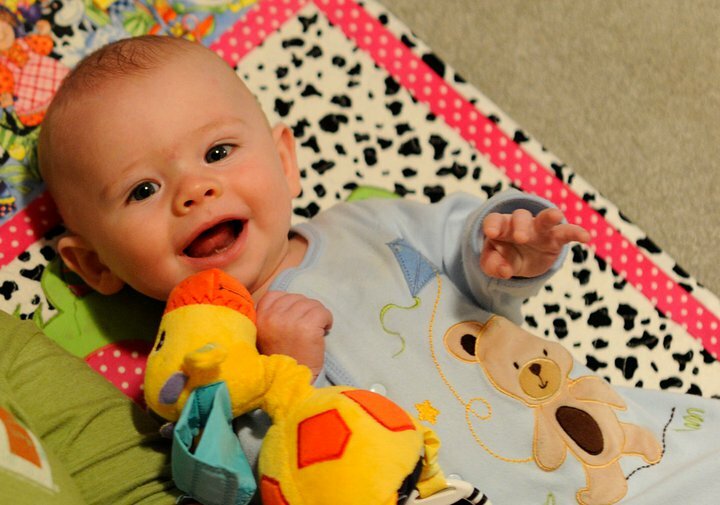 Regardless of how you plan to feed your baby, you’ll definitely need some burp cloths. One of the most popular value burp cloths on Gugu Guru is actually labeled as a diaper! The Gerber Birdseye 3-Ply Prefold Cloth Diaper. A pack of 10 will cost you less than $20. 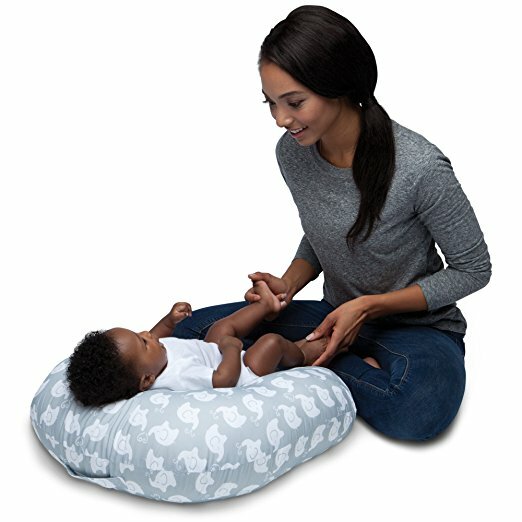 Though it’s certainly not the least expensive pillow on the market, nursing moms love the My Brest Friend Original Nursing Pillow, which comes in a variety of colors and styles. You’ll also want to pick up some nursing pads as well. 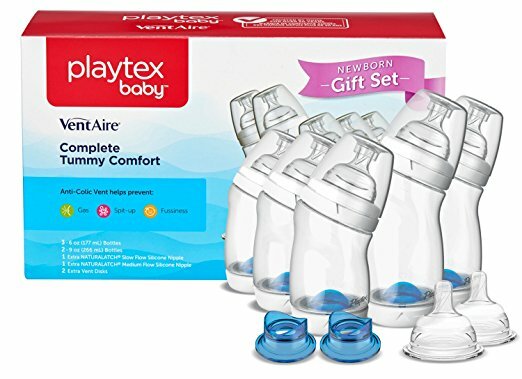 For mothers who are not exclusively breastfeeding, the Playtex Baby Ventaire Anti Colic Baby Bottle ($14.49 for a set of three) is an excellent high-quality budget choice. Parents love the angled bottle for reducing gas and ease of use. Don’t forget a bottle brush too. Here’s the truth about diapers: you may have to try a few brands before you figure out what works for your baby. It’s not unusual that one diaper brand is deemed as superior and leak proof by one parent, and that same brand is labeled as inferior by another. It’s also not unusual to switch along the way. Our friends over at trusted review site TTPM (Toys, Tots, Pets & More) did a diaper challenge using some of the most popular brands on the market and Huggies Little Snugglers took the cake. Budget hint: try Amazon’s Subscribe & Save service for 5% off diapers and also wipes. The team at Gugu Guru is also a fan of Luvs and our community of budget conscious moms swear by Target brand Up & Up diapers. Even though this post is about saving money on baby products, Gugu Guru would encourage our readers not to skimp too much on products you put on baby’s skin, e.g., hair & body wash or lotion. Luckily, babyganics formulations are safe and affordable. 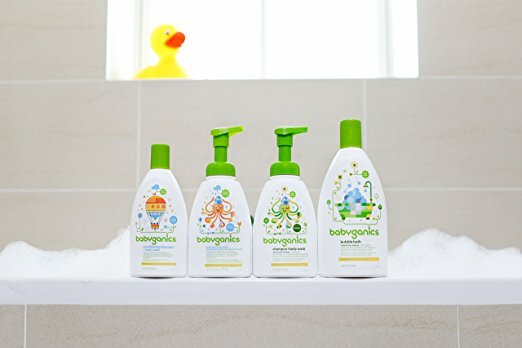 Plus their Shampoo & Body Wash is also available for Subscribe & Save on Amazon. For infant bath tubs, The First Years Sure Comfort Deluxe Newborn To Toddler Tub ($16) has always reigned supreme among parents for a best budget find. Shown here in blue, but also available in pink; if you don’t know what you’re having, just save the receipt so you can exchange if need be. For adorable and budget-friendly hooded towels ($12.99) and washcloths ($8.99 for 24-piece count), look no further than Luvable friends. Budget-minded parents will be happy to know that you can get all of your health and grooming essentials in one fell swoop with the Summer Infant Complete Nursery Care Kit ($12.99). For baby’s awake time, the Boppy Newborn Lounger ($29.84) is the perfect place for your babe to chill out in comfort. It has been called a lifesaver by many parents we know. 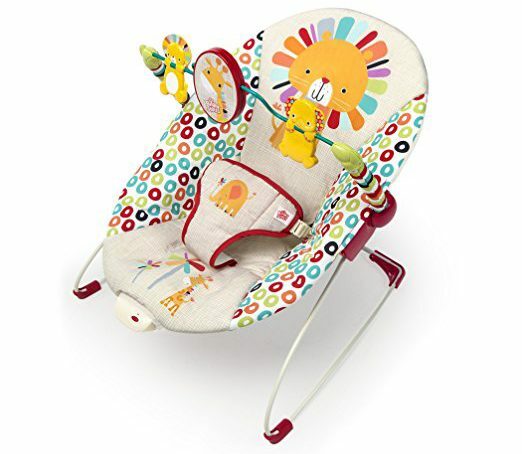 As baby grows out of the lounger, the Bright Starts ($29.99) is our winner for best budget bouncer by a landslide. 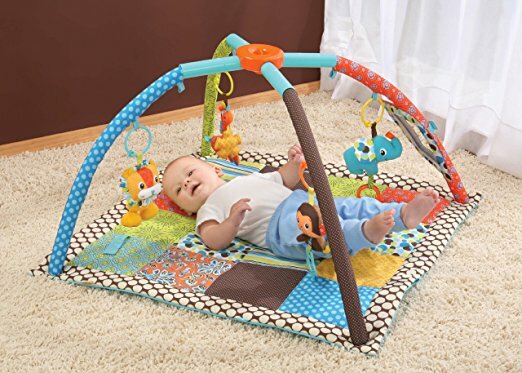 For our favorite budget play mat, the beloved Infantino brand comes in again with their Twist and Fold Activity Gym ($39.99). For more tips on how to save on anything and everything baby, arm yourself with the bible of budget parenting: Baby Bargains. 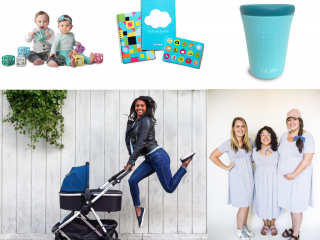 What do you think of Gugu Guru’s budget baby registry recommendations – did we miss any? Comment below to let us know your thoughts. 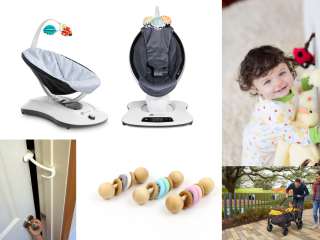 Don’t forget – you can add all of these items and more from anywhere on the web to your Gugu Guru registry. Thanks Gugu Guru. I am so grateful for this post. 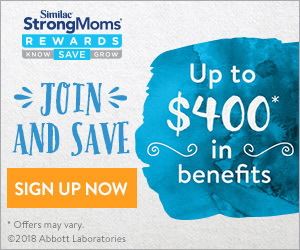 I am expecting my first child in a couple of months and I was getting super overwhelmed with the amount of baby items to look at, as well as planning around my budget. You guys rock!